Fluid simulation is a computer graphic used to develop realistic animation of liquids in modern games. The Art of Fluid Animation describes visually rich techniques for creating fluid-like animations that do not require advanced physics or mathematical skills. It explains how to create fluid animations like water, smoke, fire, and explosions through computer code in a fun manner. The book presents concepts that drive fluid animation and gives a historical background of the computation of fluids. It covers many research areas that include stable fluid simulation, flows on surfaces, and control of flows. It also gives one-paragraph summaries of the material after each section for reinforcement. This book includes computer code that readers can download and run on several platforms so they can extend their work beyond what is described in the book (See Additional Files). The material provided here is designed to serve as a starting point for aspiring programmers to begin creating their own programs using fluid animation. 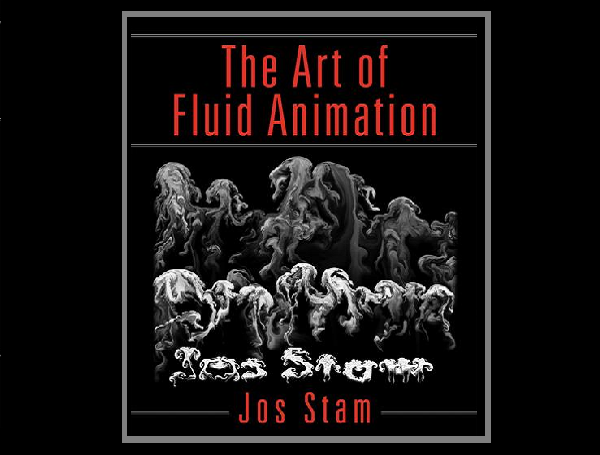 Note: "The Art of Fluid Animation" is available in eBook and Paperback formats at multiple online retailers.